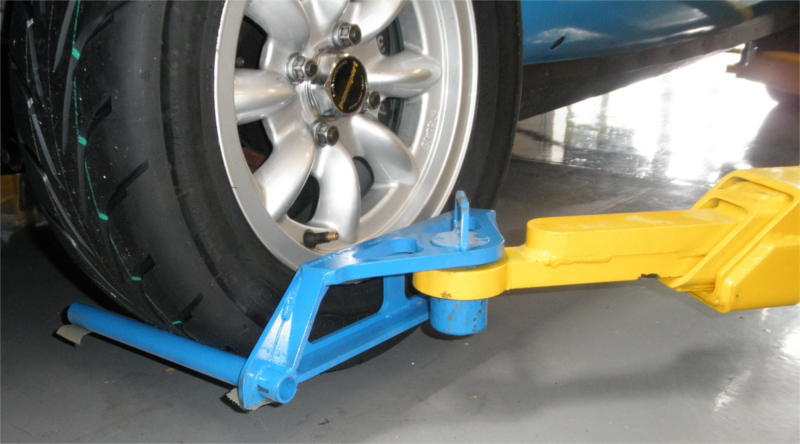 John Zender made a really nice set of wheel lifts for my Rotary 2 post lift. 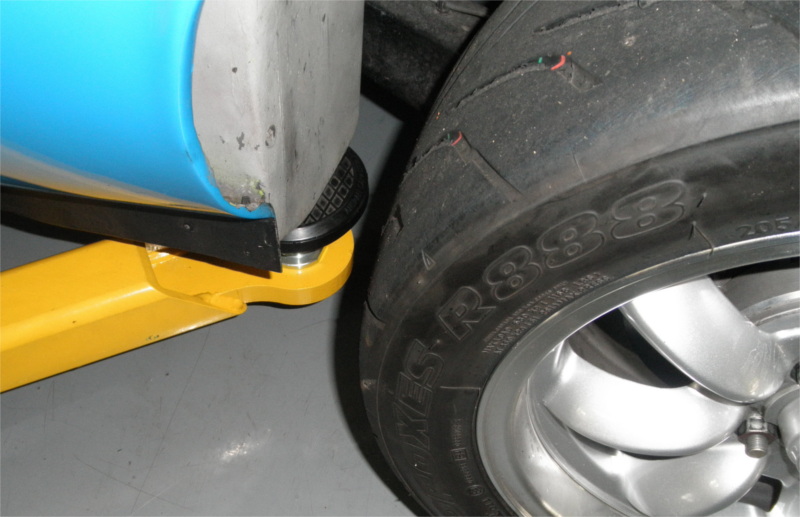 That way the suspension bushes can be in normal position even with the car in the air. Next, a rear corner using a pad.